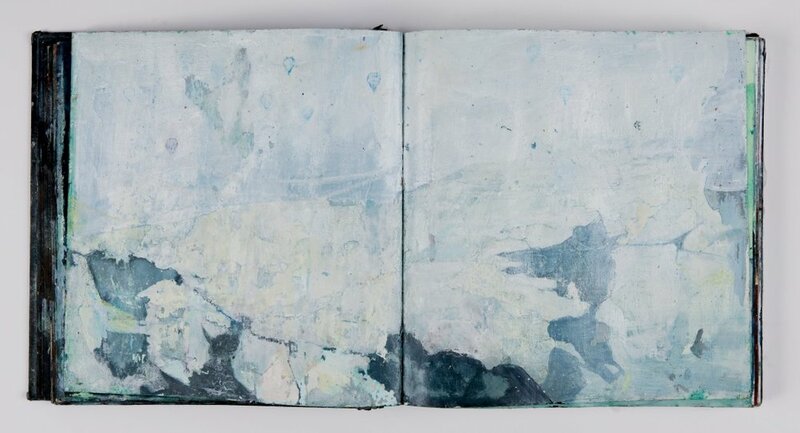 Painter and model-maker Catherine Ross is a rising star in the Scottish art scene. 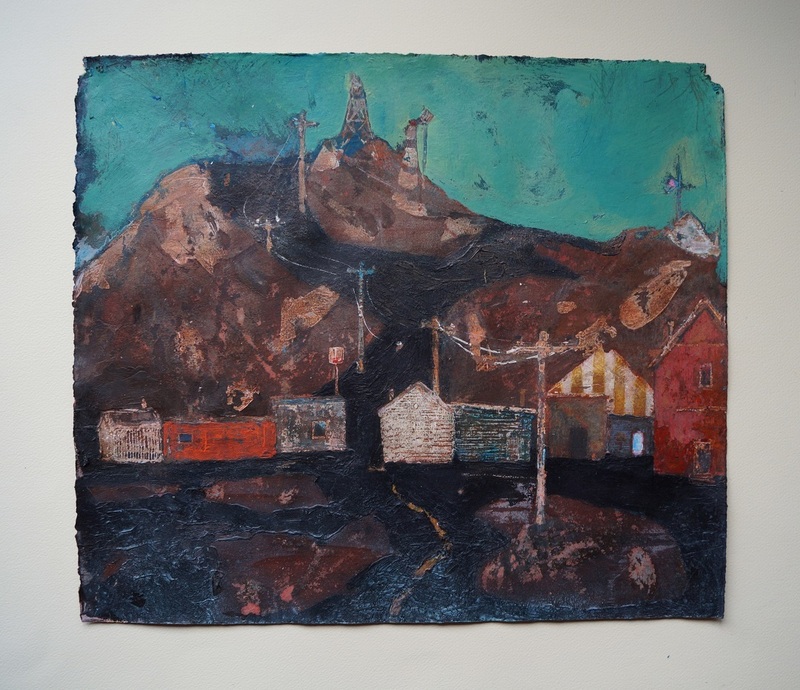 Born in Yellowknife, Canada and raised in Aberdeenshire, Scotland, she fuses her background in works that explore her own experiences and ideas of 'the north'. Here she shares some of the stories behind her recent works. Just before my final year at art school I received a Carnegie Vocational Scholarship to visit the Orkney Islands. 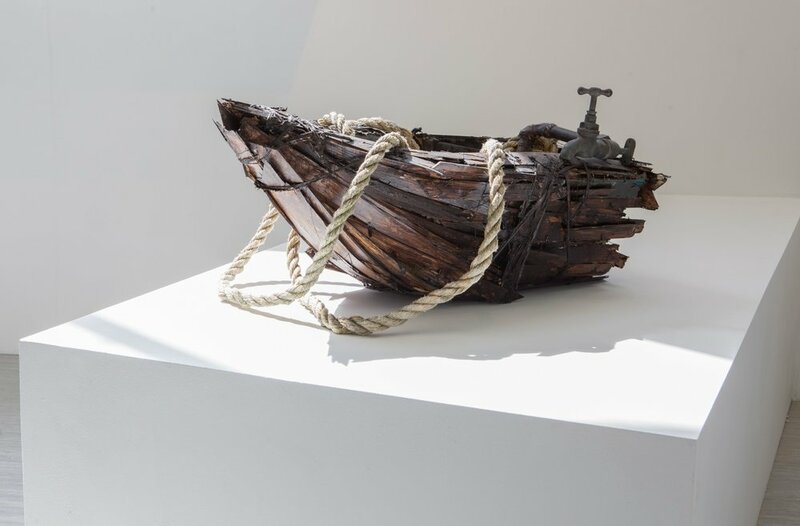 After seeing wrecked boats on the beaches, I began to make model vessels from found materials, such as washing baskets and wood, exploring ideas around the wish for adventure. The wildness of the Orkney weather and surrounding seas appeared to dictate a close interaction between local people and their environment. I was fascinated by how the island seemed to be its own separate world. My work has investigated this separateness or otherworldliness which, to me, northern places seem to uphold. I was recently supported by the Royal Scottish Academy’s William Littlejohn Award to embark on another residency, this time to return to my birthplace, Yellowknife in Canada's Northwest Territories. There I developed my thinking on mankind’s interaction with northern landscape. My new paintings and models investigate the qualities of northern places; for instance, how they seem to have what I see as an agedness. I often work with torn paper to suggest this quality. An engagement with time is further examined by my use of colour and materials. I choose found items like plastic, wood and metal to make models. When painting, I use a certain palette often determined by memories of my childhood in both Calgary and Aberdeenshire. The combination of materials and colours found in family photos, clothing, household objects and toys have become ingrained in my work. The paintings and models attempt to preserve an idea or vision informed by unearthed elements of my own past; by illusions of north and my real experiences in northern landscapes. The artist with her work 'Passage' at the Royal Scottish Academy New Contemporaries exhibition, 2015. Since graduating from Gray’s School of Art in Painting in 2014, Catherine Ross has won several prestigious awards, including the BP Fine Art Prize in 2014. She exhibited in the Royal Scottish Academy’s New Contemporaries in 2015, and the Royal Scottish Academy’s Annual Exhibition in 2016. 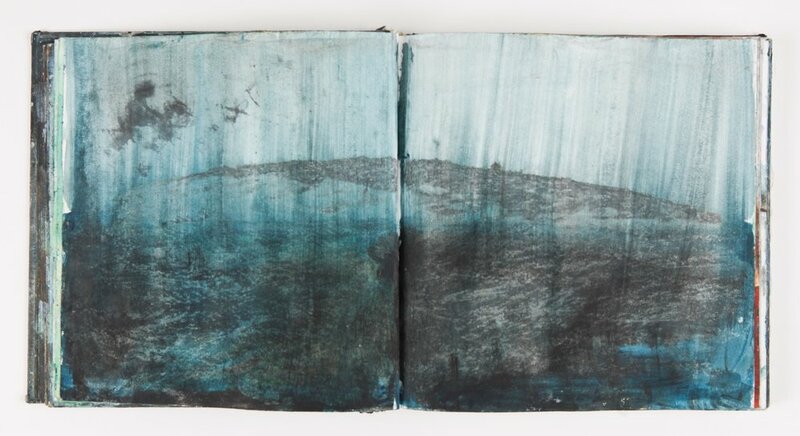 Her second solo show ‘The Narrowing Sky’ recently finished a run at Newave Gallery in Aberdeen.